The Full Moon is the perfect time each month, to pause, and to take inventory of your progress within the present moment. If you have old emotions, or challenges coming up at this time, breathe your way through. The divine light of the Full Moon shines brightly into all areas of life, illuminating any darkness, density, or limiting beliefs and patterns still needing to be released. You're being given a beautiful opportunity to heal patterns, uplift your vibration, and align with your inner light. 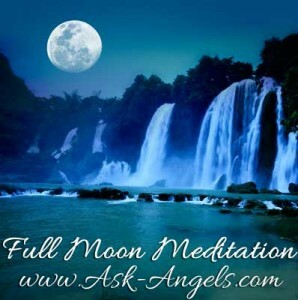 Under the light of the present Full Moon, I channeled a beautiful Guided Full Moon Meditation with Archangel Michael. 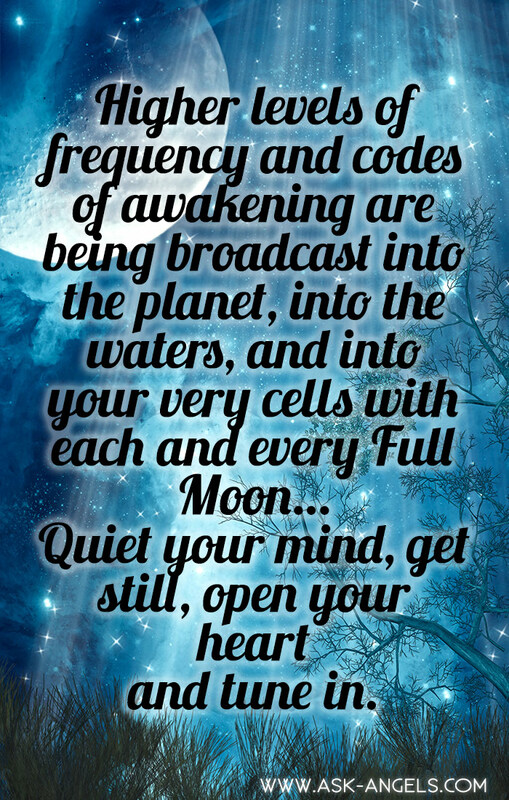 Tune into the light of your Higher Self, empowered by the Divine Light of the Full Moon, and guided directly by the Divine and All That Is. I love all your post,info n guidance! My daughter passed 3 yrs ago n i was so negative n plagued with greif,im becoming more positive n spiritual n relaxed,thank you. I would live to speak with you concerning her death one day..